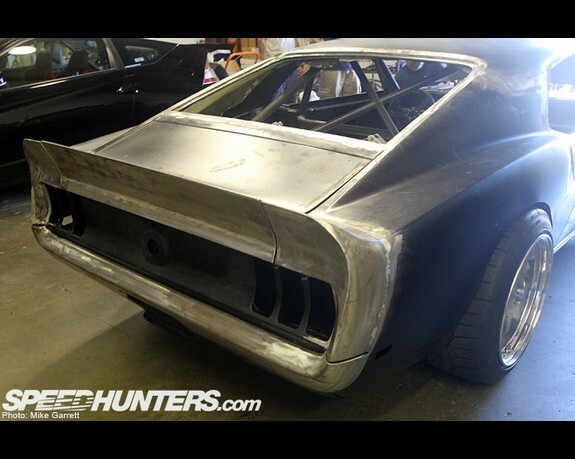 This one is definitely not another SEMA car. 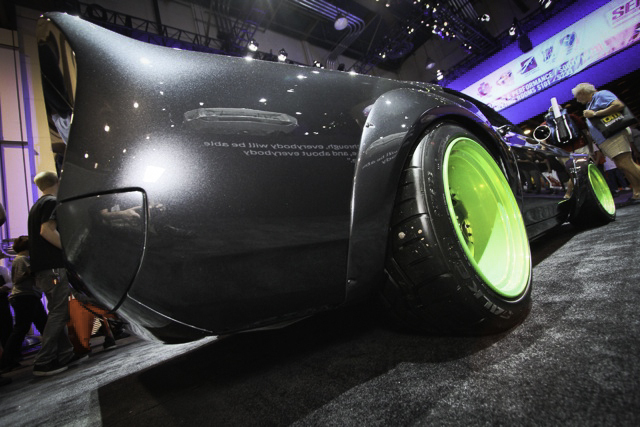 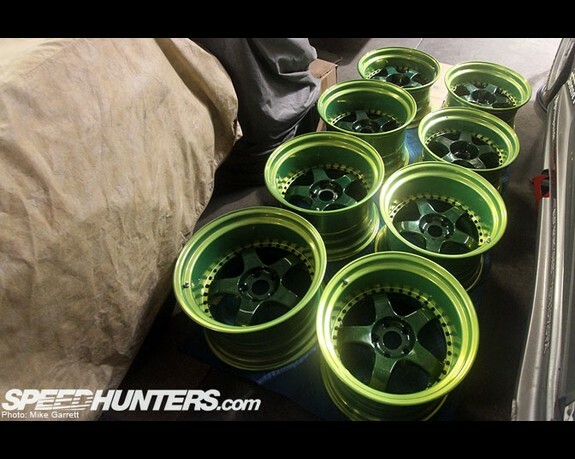 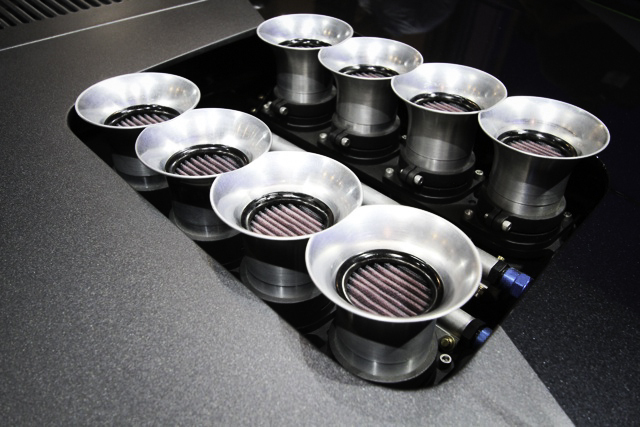 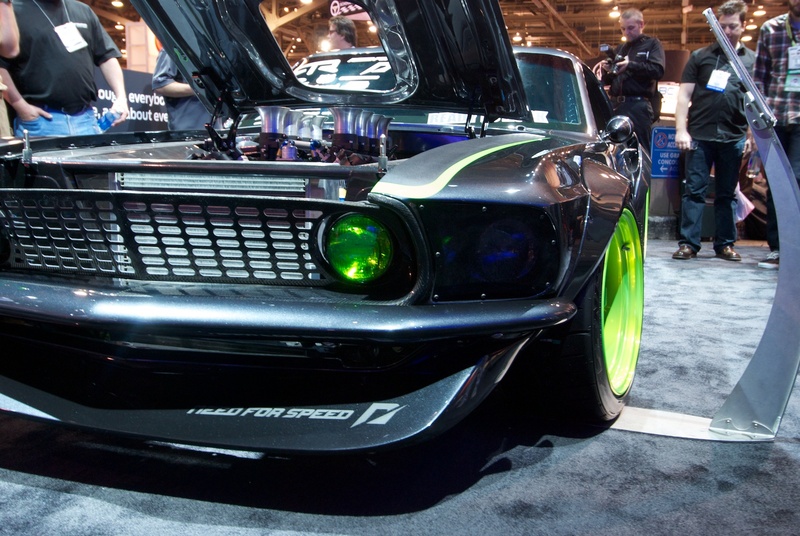 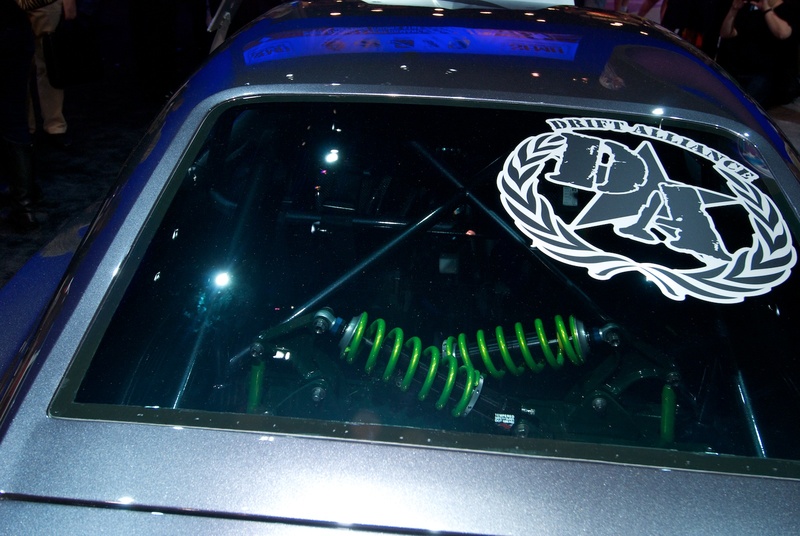 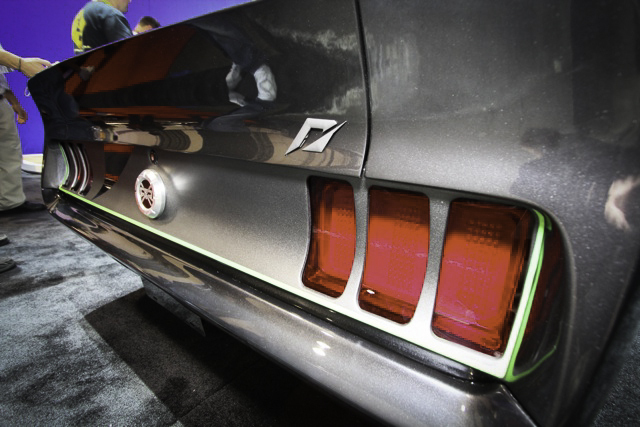 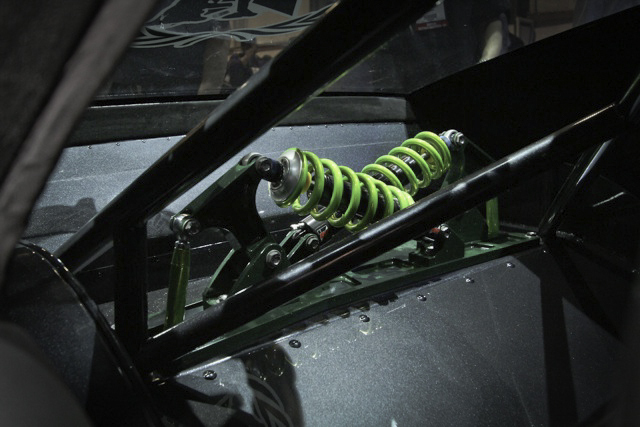 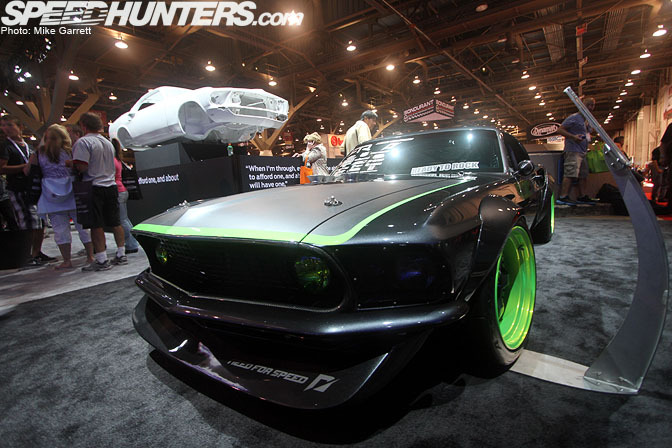 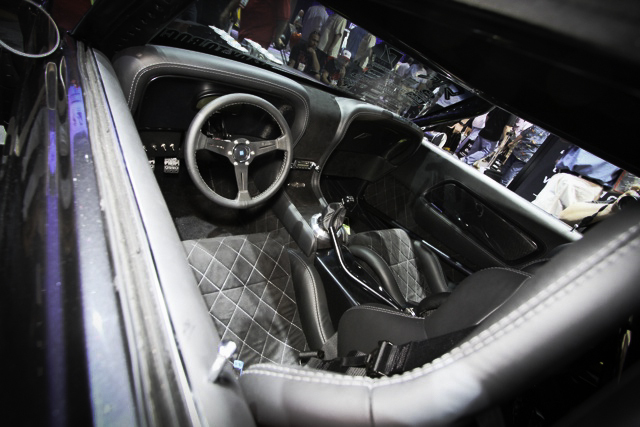 Probably, it is the car of SEMA 2010 –1969 Mustang RTR-X. 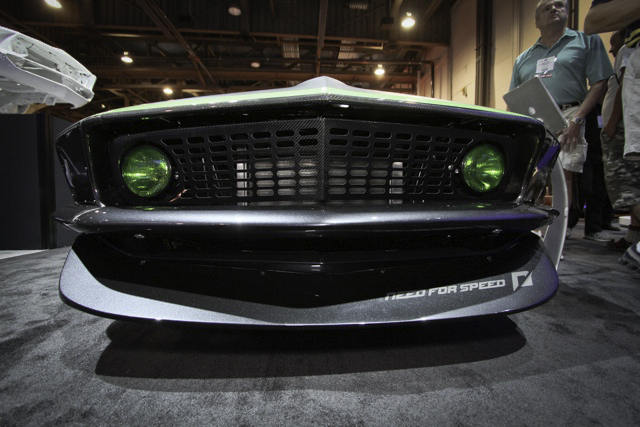 The story behind this muscle car is actually very interesting. 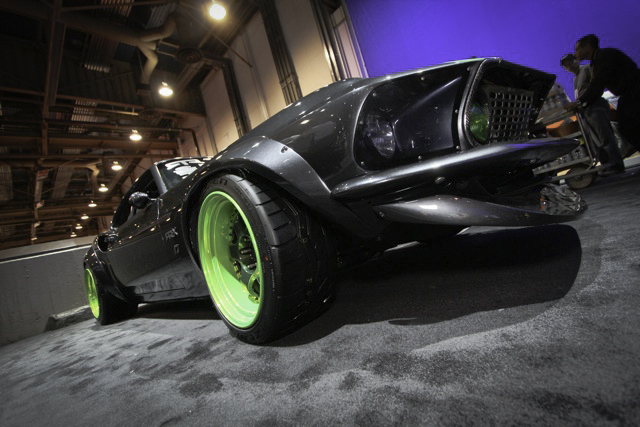 The present culture is seriously involved by drifts, video games, muscle car legacy, etc. 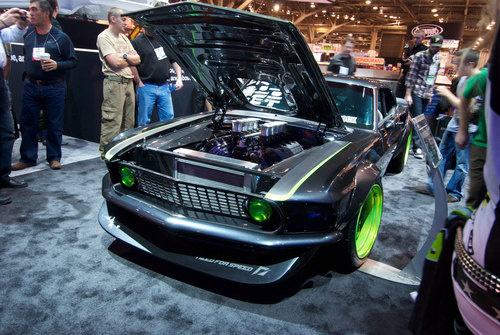 Vaughn Gittin Jr. is not only the designer of this car, but also a Formula Drift Champion, so he does understand what the public needs. 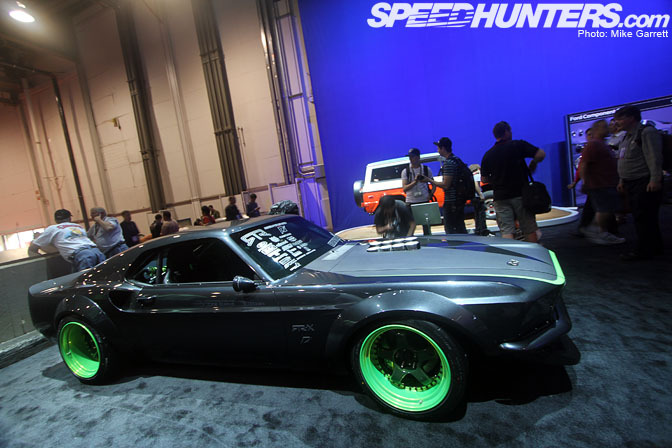 He designed the future car for the Need For Speed game. 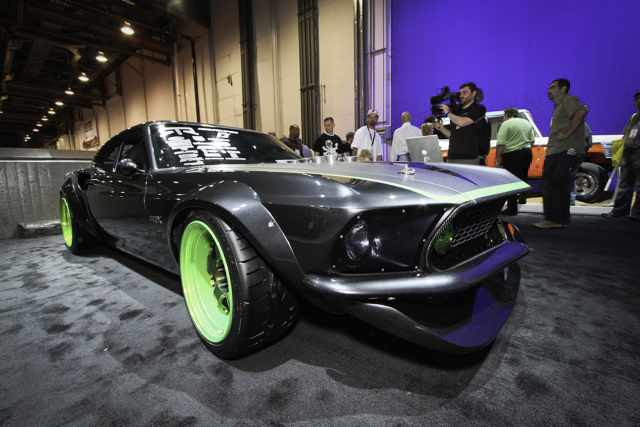 The design is crazy – RTR-X Mustang blends muscle car legacy with common drift-style trends.